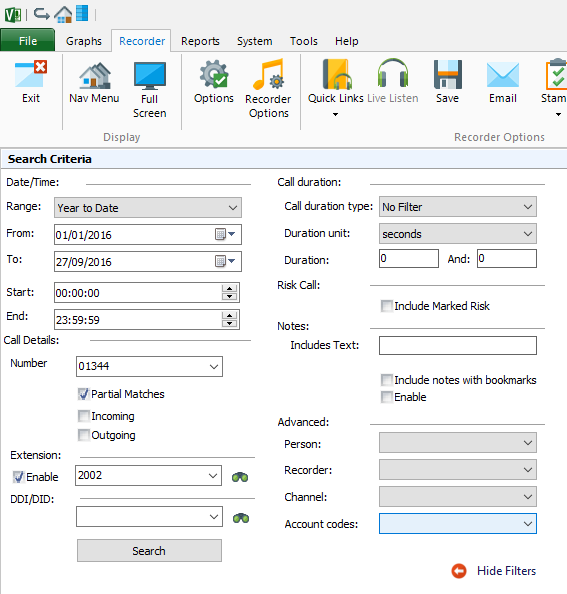 Office Voice Compact is a professional client server software application specifically designed for small and medium sized businesses that need to record calls for; regulatory compliance, to improve operational performance, to protect your business and employees and aid dispute resolution. 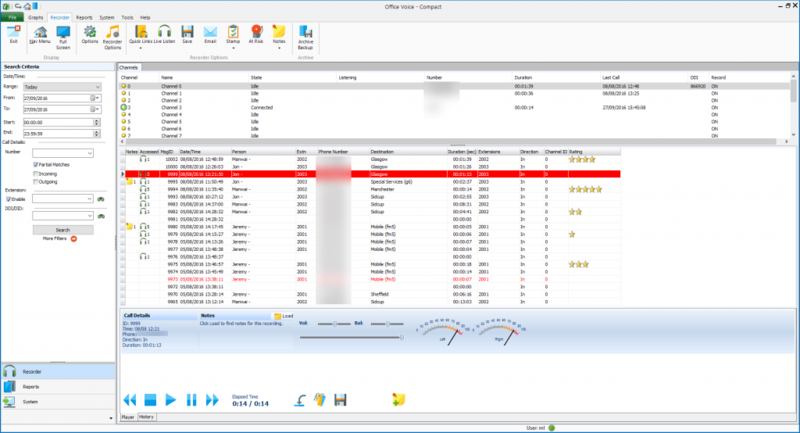 To keep the costs down – the recorder can be supplied as a USB module and recorder application software, allowing connection to an existing customer PC minimum specification. The module contains a voice recording board (PCB), which connects in parallel across each line to be recorded, the module then connects via USB to the PC. 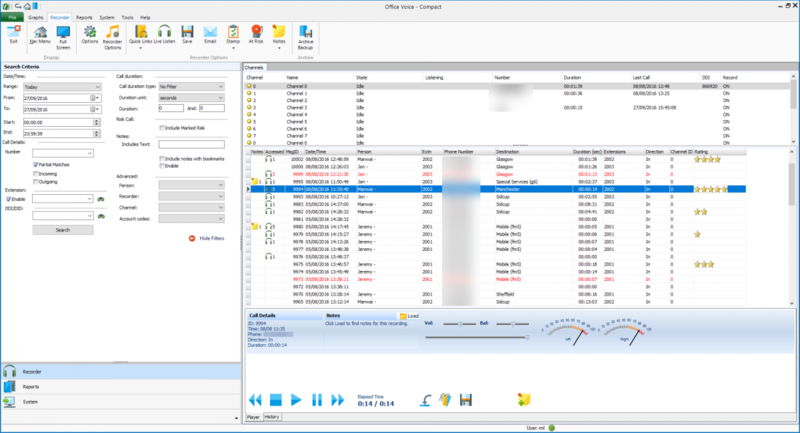 The PC is connected to the same network (LAN) as the telephone system allowing call logging SMDR/CDR data to be collected and stored in the recorder application database (MS SQL Express) and ‘tagged’ onto each recording. If required, the recorder can be supplied complete with an application server or PC, in this case a voice recorder board will be mounted inside the machine in a PCIe slot. 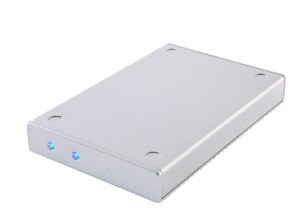 This format would typically be supplied as tower format, although rack-mount, RAID and high availability server can be supplied as chargeable options. 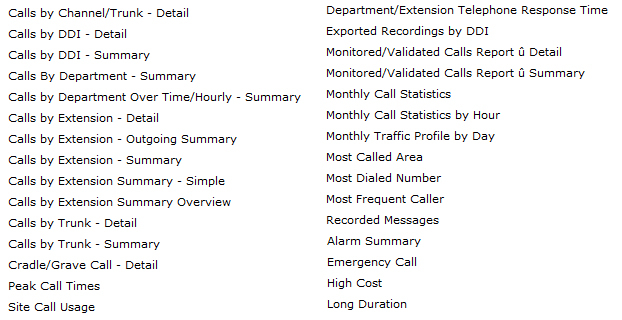 Prices for these options are available upon request. PC should be at least a dual core machine running a Microsoft business operating system (i.e. not a “Home” edition). 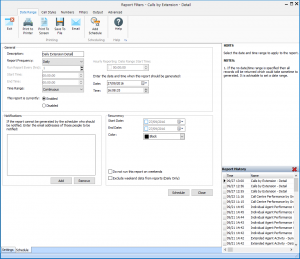 Smaller sites can be supported by 2GB RAM although 4GB or more is advisable. 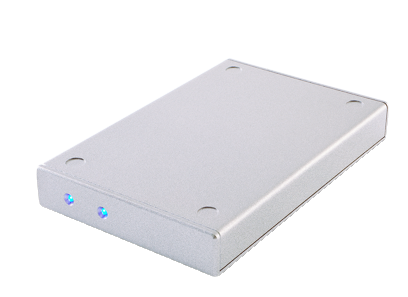 A HDD suitable to store the recordings would typically be 500GB, 1TB or above. 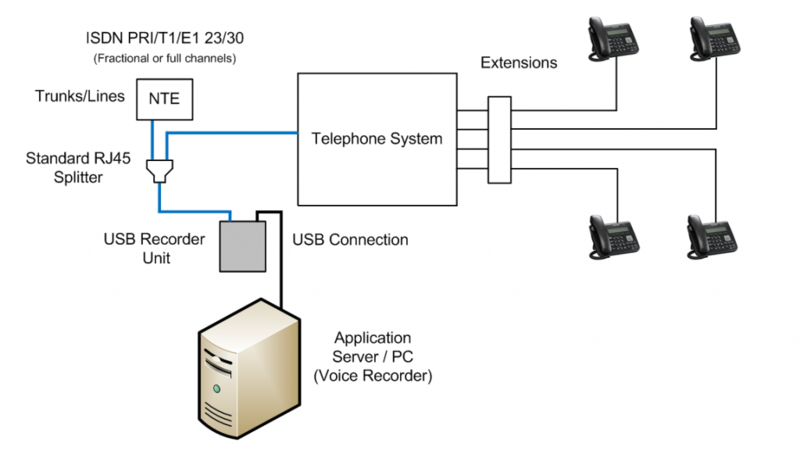 For digital or analogue lines, the USB box or PC should be no further than 2m from the telephone system. PC will require a second NIC card (or dual NIC card). One port connects PC to LAN, second port connected to mirrored port for SIP traffic. 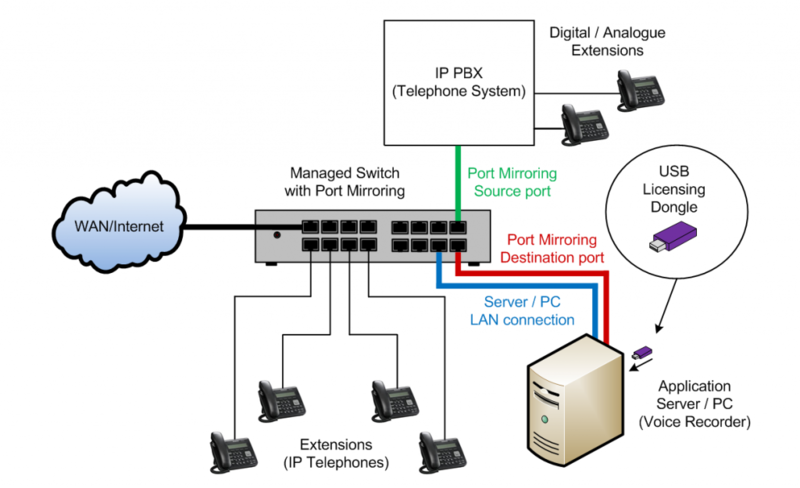 SIP port will need to be mirrored on a data switch; original port goes to telephone system, mirrored port goes to the recorder. Audio Recorder Channel – USB recorder module or card, line and extension connections are via a high impedance parallel ‘TAP’. 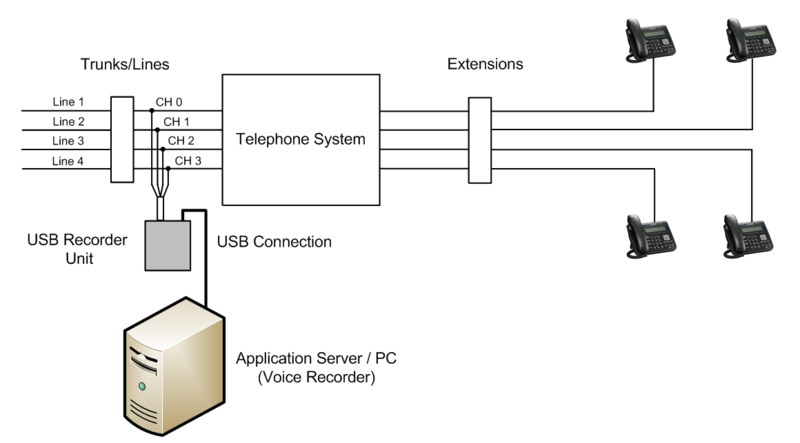 SIP and VoIP recorders use a mirror port as shown in the diagram above and as shown in the connection detail PDF document links below.